803. אָמַר הַמְּנוֹרָה הַקְּדוֹשָׁה, קוּם רוֹעֶה נֶאֱמָן מִשְּׁנָתְךָ, שֶׁאַתָּה וְהָאָבוֹת נִקְרָאִים יְשֵׁנֵי עָפָר, שֶׁעַד כָּאן הֱיִיתֶם מִשְׁתַּדְּלִים בַּתּוֹרָה בְּאוֹתָם יְשֵׁנִים בַּמִּשְׁנָה, שֶׁנֶּאֱמַר בָּהֶם עַל הָאָרֶץ תִּישָׁן. וּבְיוֹם הַבִּכּוּרִים בְּהַקְרִיבְכֶם מִנְחָה חֲדָשָׁה לַה’. אַתֶּם הֵם (בְּנֵי) בִּכּוּרִים שֶׁל הַשְּׁכִינָה, וּבַמַּעֲשִׂים שֶׁלָּכֶם הִיא מִתְחַדֶּשֶׁת בַּתְּפִלּוֹת שֶׁל הָאָבוֹת בְּכָל יוֹם. שֶׁבֵּאֲרוּ בַּעֲלֵי הַמִּשְׁנָה, תְּפִלּוֹת כְּנֶגֶד אָבוֹת תִּקְּנוּם. וּבִקְרִיאַת שְׁמַע שֶׁאָמַר הָרוֹעֶה הַנֶּאֱמָן שְׁמַע יִשְׂרָאֵל, וּפֵרְשׁוּהָ כָּל הַקּוֹרֵא קְרִיאַת שְׁמַע בְּכָל יוֹם כְּאִלּוּ הוּא מְקַיֵּם (יהושע א) וְהָגִיתָ בּוֹ יוֹמָם וָלַיְלָה. 804. וַדַּאי בַּתְּפִלּוֹת שֶׁלָּהֶם, בַּקְּרִיאַת שְׁמַע שֶׁלָּכֶם, הַשְּׁכִינָה הִיא מִתְחַדֶּשֶׁת לִפְנֵי הַקָּדוֹשׁ בָּרוּךְ הוּא. וּמִשּׁוּם זֶה נֶאֱמַר וְהִקְרַבְתֶּם מִנְחָה חֲדָשָׁה לַה’. בַּתְּפִלּוֹת שֶׁהֵן בִּמְקוֹם הַקָּרְבָּנוֹת. בְּאֵילוּ קָרְבָּנוֹת שֶׁל הַתְּפִלּוֹת הִיא מִתְחַדֶּשֶׁת? בְּשָׁבֻעֹתֵיכֶם. כְּלוֹמַר שָׁבוּעוֹת, שֶׁבּוֹ מַתַּן תּוֹרָה, וְנִקְרָא חֲמִשִּׁים יוֹם לָעֹמֶר. וּבוֹ שִׁבְעָה שָׁבוּעוֹת, מִצַּד אוֹתוֹ שֶׁנֶּאֱמַר בּוֹ (תהלים קיט) שֶׁבַע בַּיּוֹם הִלַּלְתִּיךָ. וְהִיא מַלְכוּת, כַּלָּה, כְּלוּלָה מִשֶּׁבַע סְפִירוֹת, כְּלוּלָה בְּבִינָה, שֶׁהִיא מִתְפַּשֶּׁטֶת בְּחָמֵשׁ סְפִירוֹת לַחֲמִשִּׁים. 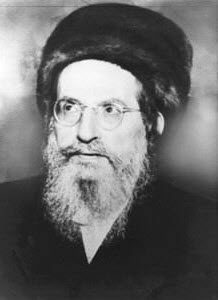 Rabbi Shimon, ‘The Holy Candle’, calls on Moses, ‘The Faithful Shepherd’, to rise from his sleep together with the patriarchs and support the renewal of their prayers. Moses and the patriarchs and called ‘sleepers of the earth’ because they are not considered dead but in a state of sleep. Because they were great chariots to the different Sefirot they cannot die as regular humans. When we sleep one of the 60 parts of the soul stays in the body to sustain its connection to life that comes from the spiritual level, meaning Zeir Anpin. The Patriarchs, Moses, Aaron, Joseph and David must keep their ‘presence’ in the level of Malchut to keep their channels active. The Zohar describes the patriarchs as the ‘first fruits’ that we offer to make higher connection to the light. In our daily prayers we mention Abraham, Isaac and Jacob because they create the connection from the upper three of Zeir Anpin (Chessed, Gevurah and Tiferet) to the upper three (Chokmah, Binah and Da’at). Chokmah and Binah are always in continuous unification and Da’at, which is Moses is activated and releases energy to the lower levels when we unify Chessed (Abraham), Gevurah (Isaac) and Tiferet (Jacob). This unification is done mostly during the silent and standing connection (18 blessings of the Amida). It’s a powerful statement and when we study the secrets of these prayers we realize the level of connection between Zeir Anpin that is the aspect of day and Malchut that is the aspect of night. Among the many secrets of the Shema Israel ‘hear O’ Israel’ prayer we learn that the first six words that initiate the connection ascend us to Zeir Anpin and that is why we recite it with closed eyes. The six words have 25 letters that connect us to the channel of blessings that come from the priests (כה(25) תברכו את בני ישראל). The Second word ‘Israel’ is for Jacob who was called Israel after he fought and won over the angel of the negative side. This connects us to the central column and Da’at. When one recites the last word of the six אחד, ‘Echad’ longer and meditates to give away his soul for the unification of Zeir Anpin and Malchut, he opens the central column and light flows to him and the world. Every person should learn this prayer by heart. Those who recite it while giving their last breath have a speedier ascend to the next world, bypassing a lot of negative steps on the way up. Because of the cycle of day and night we need to make daily prayers to renew our connection to the energy of life.